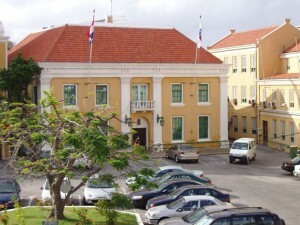 WILLEMSTAD – According to credible sources, there is currently a tumultuous meeting taking place at Fort Amsterdam. All ministers and Members of Parliament are present with the exception of Melvin Cijntje, Sherwin Leonora, both of the Pueblo Soberano (PS) party and Gassan Dannawi of the ruling party MAN. The source indicated that there is tension within the coalition and that the government is under heavy stress. The coalition partners are discussing ways to maintain the government alive and prevent a crisis.